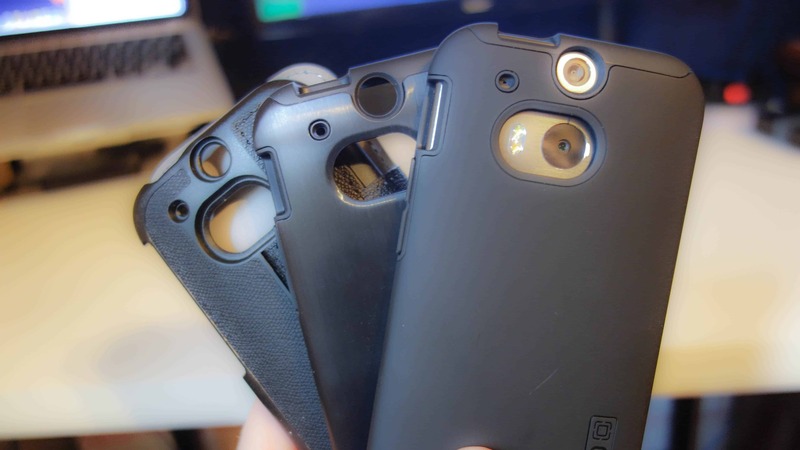 AH Weekly Giveaway: HTC One (M8) Incipio Cases! Here we are, back with another giveaway. This one is for the HTC One (M8), so if you don’t own a HTC One (M8) or are not planning to buy one, there’s really no point in entering this contest. We are giving away three Incipio cases for the HTC One (M8). We are giving away the Watson Wallet Folio case, the DualPro case, and the DualPro Shine case! I’ve reviewed all three of these on the site already, so if you haven’t already, you should go check those out. You’ve probably heard me praising Incipio’s cases for quite some time now. They are amazing cases and look beautiful on any device. I actually have a few that I bought for my LG G2 – my current daily driver – and absolutely love them. So how do you enter? Well we’re going to keep it going the way we have for the past month or two. And that is pretty simple. Just follow the Rafflecopter widget down below. You’ll be able to enter just by signing in with either your email/password or Facebook. Everything else is for an extra entry. The contest will run until next Thursday, April 24th at Midnight, where we will then select a winner, email that winner for their contact information and get their prize shipped out. With that said, Good luck to all! The post AH Weekly Giveaway: HTC One (M8) Incipio Cases! appeared first on AndroidHeadlines.com |.